Missed paying dues on your Communist Party membership? There's a bank for that - and it's fully automated. 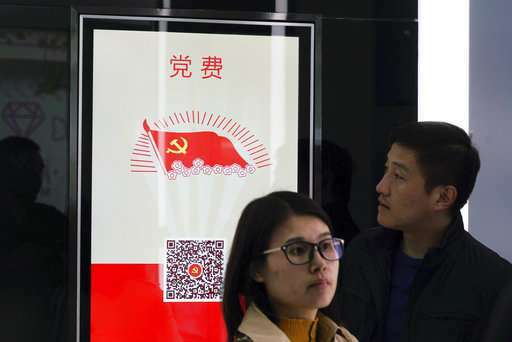 A state-owned Chinese bank has opened an automated branch equipped with facial-scanning software, a virtual reality room, a hologram machine, talking robots and touchscreens for paying utility bills and Communist Party fees, among other functions. 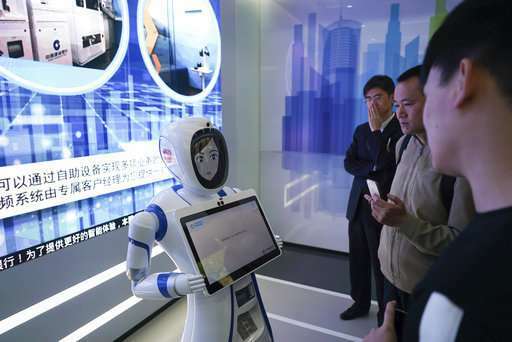 The branch opened last week in central Shanghai's Huangpu district and is being hyped as China's first "unmanned bank." 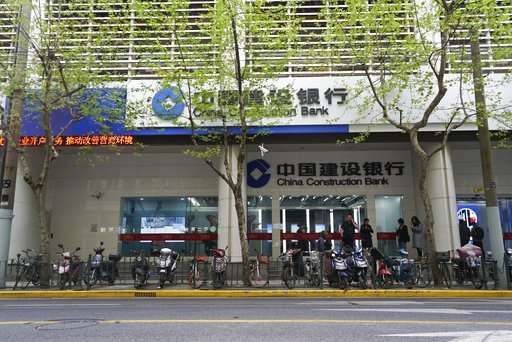 Beijing-based China Construction Bank says the high-tech branch is meant to make banking more convenient, personalized, and efficient. It also reflects growing competition from cashless payment systems that are giving the banks a run for their money. 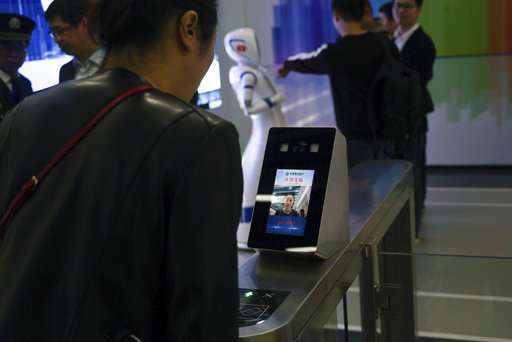 A robot greets customers at the entrance and answers questions using voice recognition software. Clients can swipe their national identification cards to enter the bank - or scan their faces using the bank's facial recognition device. Machines inside allow visitors to buy gold, change currency, or scout real estate investments using virtual reality googles. The bank isn't totally unstaffed. Guards still stand sentry, and a room equipped with teleconference software allows VIP clients to request help from human employees based elsewhere. News of the newfangled bank spread rapidly online, drawing throngs of curious observers. Tian Ting, a finance worker, said she was impressed after touring the branch one Friday morning. "These days, people are less and less likely to be inclined to want other people to come and bother them," Tian said. "We hope to come to a bank where we can interact with machines." State-owned China Construction Bank, founded in 1954 to fund large scale infrastructure projects, is the second largest bank worldwide as measured by assets, and seems an unlikely tech pioneer. Analysts say the bank is responding to pressure from internet giants like Alibaba and Tencent, which are transforming Chinese consumer finance with mobile applications that enable people to transfer money and pay for goods using their smartphones. "These days, everyone is talking about banking or financial innovation," said You Tianyu, vice president of research at iYiou, a technology think tank. "This is kind of an experiment, a shot in the dark, trying to prove that traditional banks, too, can innovate." The trend toward automation is not new. Retailers in China and elsewhere have been tinkering with automated supermarkets and convenience stores, and Bank of America last year piloted three automated banks in the U.S., calling them "advanced centers." It now has 14 such branches, featuring ATMs and videoconferencing capabilities. Still, the China Construction Bank branch takes technology a step further, with You and others citing its face-scanning abilities as a breakthrough. "Through the use of facial recognition, even without a human in the loop, the system can ensure uniqueness of the individual at the time of enrollment and can verify each time the person conducts a transaction that they are who they claim to be," said Joseph Atick, a biometrics expert and chairman of Identity International. Industry analysts question whether the other gadgets add much value, saying that existing ATMs and online banking sites have already automated most banking tasks. "If you go to a bank, you want a person, right? If you're in the office and you're like, I don't want to go a bank, you'll just go online," says Chris DeAngelis, manager of Beijing-based technology consultancy Alliance Development Group. "There's nothing that changes the world here." Banking technologist Li Linfeng, who was scouting the bank for Shenzhen-based Ping An Insurance, said he didn't think the bank's implementation of technology was particularly thoughtful. Older folk would likely need human help navigating such cutting-edge equipment, he said. "When you're exploring these technologies, you shouldn't just pay attention to the technology itself, but how people can interact with these technologies," Li said. "Technology has to serve us, not leave people behind."